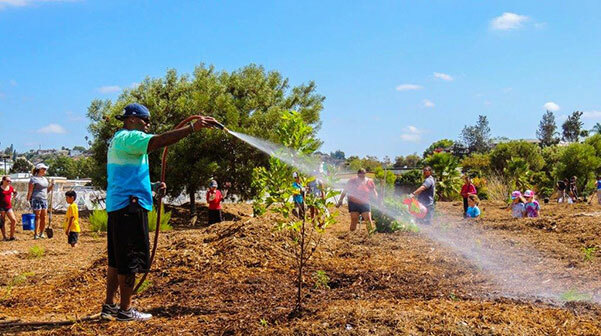 Groundwork San Diego’s impact extends horizontally across the Chollas watershed communities and the programmatic areas of climate action, parks and trails, natural resources, and education. 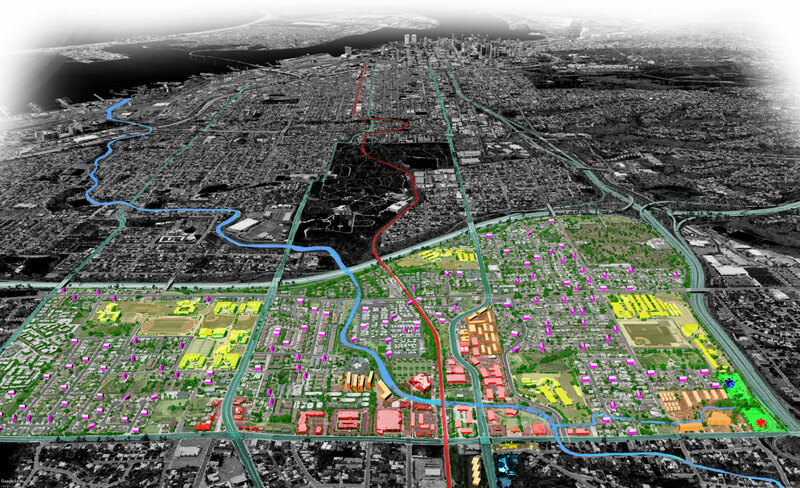 Groundwork’s impact also extends vertically, linking the large scale of the watershed, to the neighborhood, to the small scale of the EarthLab, a public space that educates. At the watershed scale, Groundwork is leading the effort for a City Council designation for the Chollas Creek Regional Park. The park designation will be accompanied by a master plan, and will bring Chollas Creek and the communities it serves long-overdue regional identity, while bringing diverse neighborhoods together through a watershed-wide system of trails and parks and visitor destinations. With support from the City/County State Integrated Regional Water Management Program, the Resources Legacy Foundation, and others, the resources of the watershed will be shared and enjoyed. At the neighborhood scale, with support from the California Energy Commission to master plan a zero net energy/advanced energy community, Groundwork has designed The Chollas EcoVillage in Encanto. Currently under consideration for a multi-million dollar investment, the build-out of the master plan will bring unprecedented energy/ water efficiencies; local renewable energy generation; healthy home environments; lower energy/water bills for watershed residents; support for school to career green job preparation. The Chollas EcoVillage will create a California-based model for the delivery of energy and co-energy benefits, including public health, economic development, community empowerment, GHG reduction, and water conservation, through the coordination of electric utility cooperation, third party services agreements, government funding and education programs. These ecovillage best practices will be extended to other watershed neighborhoods. 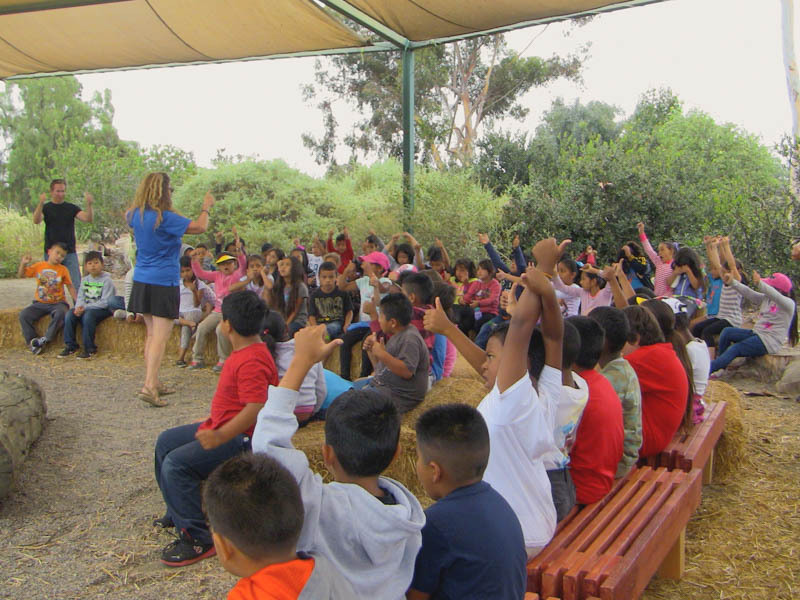 At the EarthLab scale, Groundwork San Diego Chollas Creek, in partnership with the University of California San Diego and San Diego Unified School District, is innovating a new approach to participatory climate action. Supported by such visionary funders as Surdna Foundation and the Parker Foundation, and the National Endowment for the Arts, the EarthLab as an exemplary model of public space programmed for community and K-12 environmental education . EarthLab is a 4-acre open-air climate action park devoted to youth and family informal learning through experiential science, environmental literacy, and participatory climate action, all intersecting with advances in energy technology. Groundwork’s climate action programs, across neighborhoods and at the EarthLab, are organized around energy, water, and food. All projects are intended to be replicable and scalable across the watershed and beyond. With support from Groundwork’s Millennial Tech Middle School Energy Ambassadors (Fareed’s video), families are learning the value of water/energy savings to household budgets and climate action. Through a grant from the California Department of Water Resources, Groundwork is providing over 50 families with a menu of conservation and energy upgrades that include rainbarrels (400 gallon +); greywater water systems; drought tolerant landscapes; low flush toilets; low flow showerheads, and aerators. In recognition that the current food system has a major impact on climate change, student and families are being introduced to the value and practicality of hydroponic farming. Through a grant funded by San Diego Gas & Electric, 600 students will actively participate in the growing and distribution of over 1000 pounds of hydroponic produce. -To improve the environment, economy and quality of life for residents in the Chollas Creek Watershed through new approaches to community and educational development. Groundwork San Diego continues to build support for a City Council designation for the Chollas Creek Regional Park. The park designation will be accompanied by a master plan, and will bring Chollas Creek and the communities it serves long-overdue regional identity, while bringing diverse neighborhoods together through a watershed-wide system of trails and parks and visitor destinations. 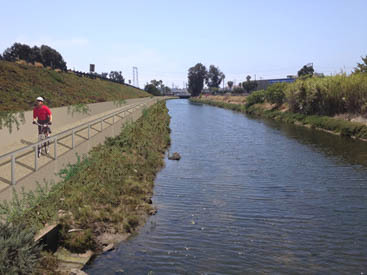 With funding from the California Transportation Commission, County Supervisor Greg Cox, the Integrated Water Management Program, amongst others, Groundwork is leading two trail projects that will connect neighborhoods in the upper reaches of the watershed to San Diego Bay. 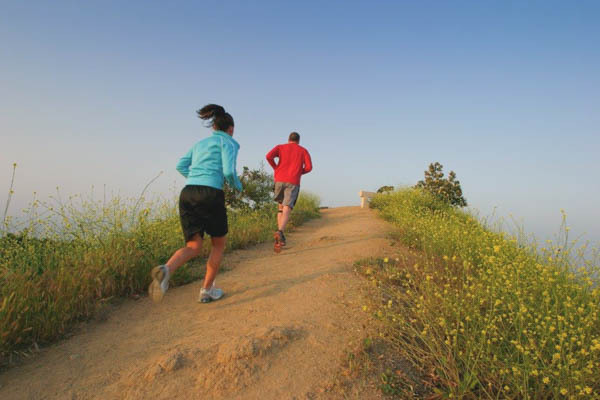 The development of this important trail segment will augment recreational spaces, and connect communities to the emerging Chollas Creek Watershed Regional Park. It will leverage additional financial resources for construction, and will provide valuable hydrologic, water quality, and GHG reduction information to the Groundwork Chollas Creek watershed repository database. The creek de-channelization effort that is part of this project will remove impervious surfaces and vegetation overgrowth in the Chollas Creek channel thereby improving surface water quality and reducing high volume surface run-off. 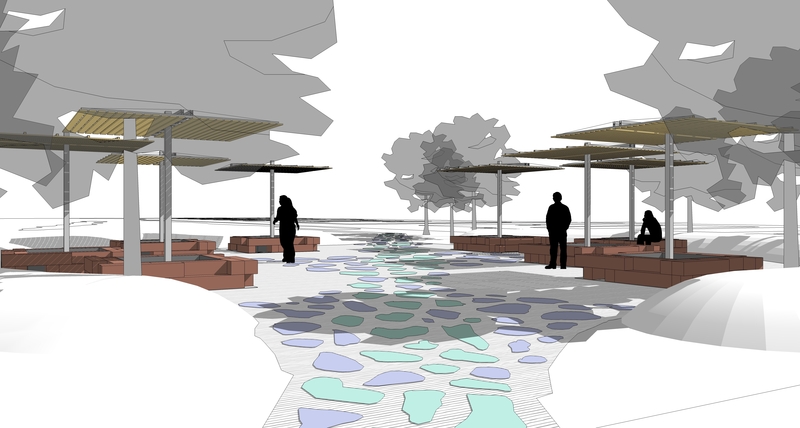 Groundwork has completed the design of this critical segment of the Chollas Creek multi-use trail system being proposed. This project will serve two of the lowest income neighborhoods in the San Diego region, and make a connection where two interstate freeways (I-5 and I-15) currently inhibit community members’ access to key resources such as the San Diego Bay, Downtown San Diego, Chollas Creek, the Bayshore Bikeway, and the Blue Line Trolley. The project will improve active transportation mobility for disadvantaged community members, and provide a safe means of non-motorized travel to important destinations. Construction of this important linkage will improve community members’ access to public transportation, since the Blue Line Trolley (which connects south to the international border with Mexico as well as into Downtown San Diego) is on the west side of the I-15 / I-5 interchange and not currently accessible to Southeastern San Diego residents. The project offers significant opportunity to improve active travel conditions, provide desperately needed access to open space and recreation for low income households, access to public transportation, and the potential to increase physical activity and improve public health. Groundwork has received generous support from the California Coastal Conservancy, the National Park Service, San Diego Association of Governments, and others to restore over 40 acres of creek and upland habitat. These efforts would be impossible without the hands-on hard work of hundreds of corporate and community volunteers. From creek clean-up to native plant and tree installation to brush management, volunteers of all ages give of their time to improve wildlife habitats and open spaces. Key among volunteers are National Association of Steel and Shipbuilding, the US Navy, and local universities. 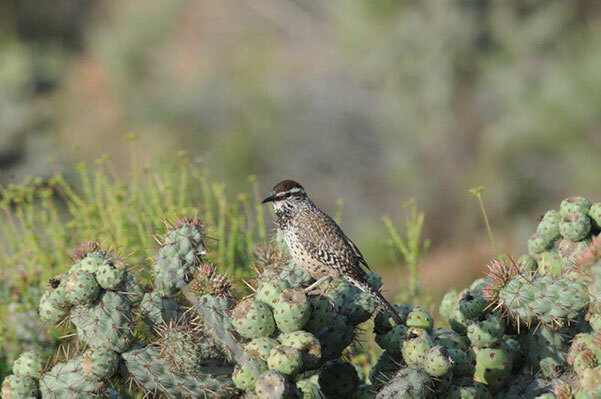 Groundwork is ensuring the long-term success of two California species of concern, the coastal cactus wren and California gnatcatcher. Through its Radio-Encanto Canyons Restoration/Maintenance/Monitoring Program, and in partnership the U.S. Fish and Wildlife Service, and CalFire, Groundwork has restored twenty acres of native habitat, working with area students and supporting on-going neighborhood-driven canyon stewardship. 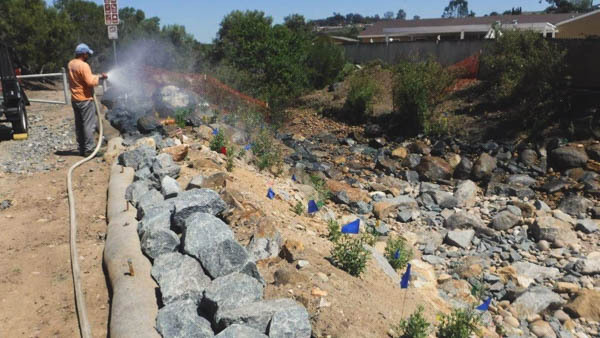 Groundwork is leading a project funded by the County of San Diego Department of Environmental Health under the Vector Habitat Remediation Program (VHRP) to construct the Lenox Drive Vector Habitat Remediation Project. 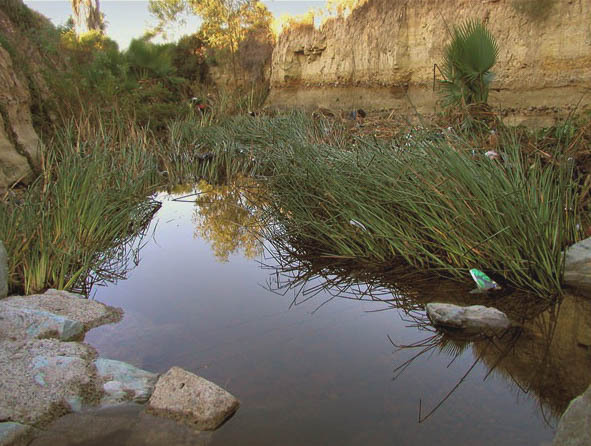 The project will remedy mosquito breeding pools in Chollas Creek. Stagnant water has formed as a result of deteriorated grade control structures immediately north of the Lenox Drive Bridge (Due to the proximity of human activities (residential and recreational/hiking), mosquitos are a problem in this area; the site is immediately adjacent to a residential community and is a known mosquito breeding habitat. A trail is currently being installed adjacent to the site. In addition to the residences, hikers would also be affected by mosquito breeding habitat in this section of Chollas Creek. Groundwork serves over 3,000 students annually from San Diego Unified School Districts D and E. It offers school-day, extended learning, and field trip programs. Impacts are measured through traditional pre-post tests to track academic and aspirational changes and benefits, as well as through innovative methods that include scientific literacy journals and longitudinal evaluations over the course of a student’s educational career.. Also powerful evaluation tools are the testimonials of the teachers and students who have participated. Families are at the heart of Groundwork’s programs, serving as climate action leaders, supporting the academic success of area youth, and advocating for equity and investment. Families volunteer at the EarthLab, where they are introduced to emerging conservation technologies, energy/water home-based conservation activities, and are offered opportunities to engaging with policy leaders and elected officials around equity issues..